Islamic State terrorists in Aleppo province have been cut off from their arms supply sources, the Russian Defense Ministry has stated. Over the past 24 hours, Russian jets made 41 sorties and carried out 40 attacks against the terrorist group in five Syrian provinces. Russian warplanes attacked dozens of Islamic State (IS, former ISIS/ISIL) strongholds in Aleppo, Hama, Idlib, Latakia and Deir ez-Zor provinces. 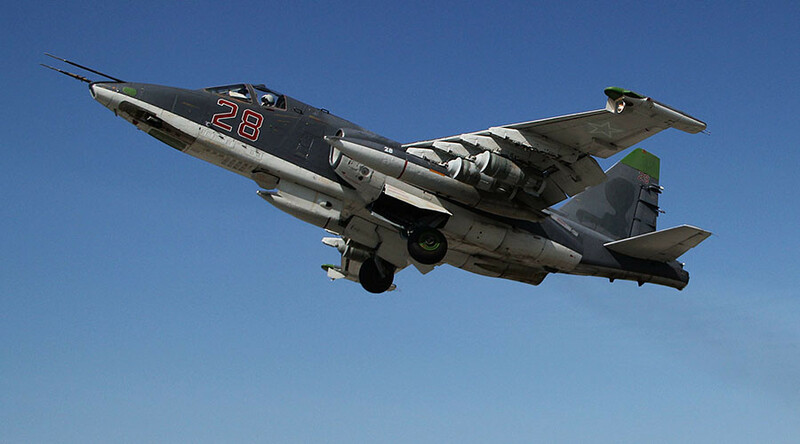 “Sukhoi Su-24M bombers delivered pinpoint strikes against terrorist targets near the city of Aleppo. They took out workshops used by the militant terrorist group to arm vehicles with explosives, which are used in suicide bomb attacks,” Defense Ministry spokesman, Major General Igor Konashenkov stated. He added that the vehicles were rigged with the explosives were to be used to stage terror attack against Syrian government forces. The Sukhoi Su-34 and Su-24M bombers, along with a Su-25SM assault aircraft took off from the Khmeimim airbase to take out terrorist command and logistics centers, arms depots and workshops. An attack by Su-25SM ground-support aircraft near the city of Huraytan with high-explosive bombs completely destroyed an IS arms depot along with their fuel supplies. The same planes were also used to strike a terrorist training center in the Idlib province, which was located in a mountainous area. The facility was completely destroyed. Russian aircraft also bombed a terrorist workshop some 13 kilometers from Aleppo. The facility was used to repair of armored vehicles and helped to equip SUV vehicles with mortars, heavy machine guns and ZU-23 anti-aircraft artillery systems.